BAC is short for blood alcohol content or blood alcohol concentration. It’s the measure of how much alcohol is present in your bloodstream – which has a lot to do with how much and how quickly you’re consuming alcohol. You may want to know your exact BAC if you’re planning to drive after having a drink or two (something we never recommend). You may also want to know what a certain BAC level feels like or how quickly your BAC increases. Many factors can affect your BAC. Some are factors we can control, and others are inherent in our bodies. There are additional factors we often assume affect our BAC that in fact do not. In this article, we’re sharing the details of what contributes to your BAC and dispelling some myths about factors that don’t contribute to it. Gender. Women often have a lower absorption rate due to less water in the body (see below for more details on absorption rate). This is because women have more fatty tissue, and fat cannot absorb alcohol, making the alcohol more concentrated. Age. No matter your gender, your body’s water decreases as you age. The older you get, the more you’ll feel the effects of alcohol. Body build and body fat. Smaller-framed bodies will reach a higher BAC before larger-framed bodies. Alcohol is also more concentrated in people with a high proportion of body fat. Metabolic rate. Inherent and contributing body factors, like diet, digestion, fitness, and hormones, determine how quickly your metabolism processes and expels alcohol. Rate of consumption. Your BAC rises with the speed and rate that you’re drinking. Last time you ate. Food in your stomach slows alcohol entering your bloodstream. Fatigue. When you’re tired, your whole body is tired – including your liver. Processing alcohol can take longer, so you may feel drunker than normal, with alcohol staying in your blood longer, affecting your BAC. Fatigue alone can make you feel drunk, so drinking when tired can cause even stronger feelings of intoxication. Illness. Fighting a cold often means you’re dehydrated, which allows alcohol to enter the bloodstream quicker and take longer to process. Use of drugs or medications. Alcohol combined with any type of drug (legal, prescribed, or illegal) easily contributes to a higher BAC because your body has more to process. Carbonation. 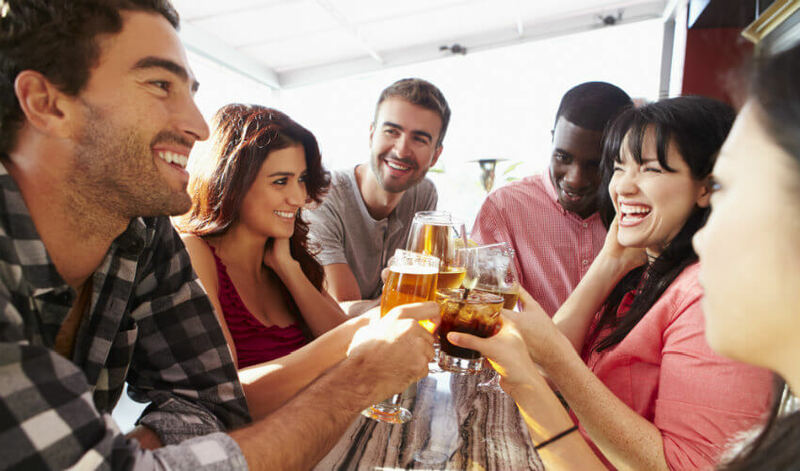 Beer, wine, and mixed drinks all affect us differently, as their alcohol by volume (ABV) can vary widely. Studies show that carbonation is also a factor. Alcohol paired with sparkling water or soda, or simply sparkling wine, can increase how quickly alcohol passes through your stomach, entering your bloodstream quicker, and increasing your BAC. These common factors may make you feel more or less drunk, but they do not actually have an impact on your BAC. Alcohol tolerance. While some people hold alcohol better than others, this doesn’t mean they have a lower BAC than someone who exhibits signs of drunkenness. This alcohol tolerance is more about how you feel while drinking – not how intoxicated you actually are, which is likely much higher. Drinking coffee. Once alcohol hits the bloodstream, there’s no way to speed up its processing. Drinking coffee or highly caffeinated drinks may make you feel better, but it won’t lower your BAC any faster than normal. Taking a shower. Similar to drinking coffee, taking a shower can make you feel more alert and awake, but your body will take its natural course to process and decrease the alcohol in your bloodstream. The order of your drinks. 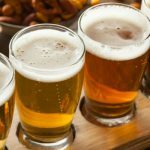 A popular idea holds that taking shots first and then drinking beer afterwards is somehow safer or helps a buzz along at the right speed, preventing you from getting sick or too drunk. In fact, your BAC depends on the total amount of alcohol consumed, not the order or timing of different types of alcohol. 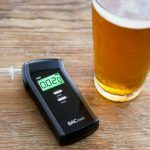 While you can control some factors that contribute to your BAC, there is no way to know exactly what it is by guessing or calculating it. 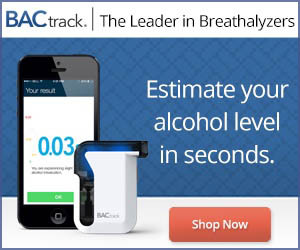 The only reliable method for knowing your BAC is using a breathalyzer. Absorption rate is a vital part of BAC. This refers to how quickly your body absorbs and tolerates alcohol. Your absorption rate isn’t static – it can change from one day to the next, which can explain why some days you feel a buzz from only one or two drinks, and another day it may take more. Absorption rate is related to the water in your body because alcohol dissolves easily in water. In general, bodies are comprised of 60% water, with various organs having much more or somewhat less water. Your brain, for instance, is composed of about 90% water. The more water in your body, the faster your body may be able to absorb and tolerate the alcohol. Knowing your BAC is not as easy as counting the number of drinks and the hours you’re drinking. 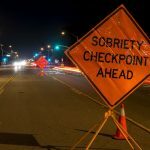 In fact, the many factors that affect your BAC mean your level cannot be measured by guessing or referring to an external source like an online BAC calculator. « How Many Beers Does it Take to Reach a BAC of .08%?